The storyline is back to the main arc now, with a revelation of truths, some torture, some time travel, and not a whole lot of answers just yet. It leaves me wondering if, when this is all over, the fearsome four will remain or if we’ll have to say goodbye to at least one of them. We’ll have to wait and see. 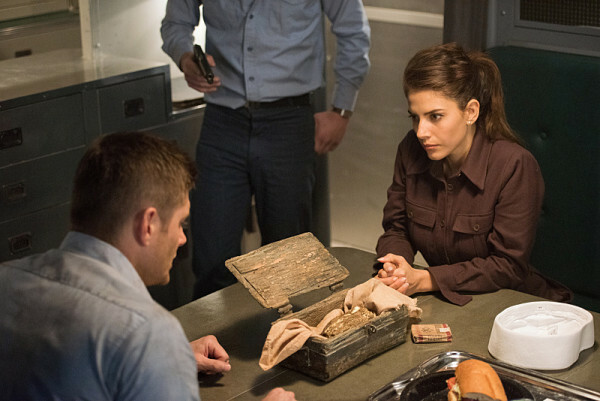 Being a WWII historian, I was excited by not only the fact we were getting a time travel episode, but also one where Dean goes back in time to the war. 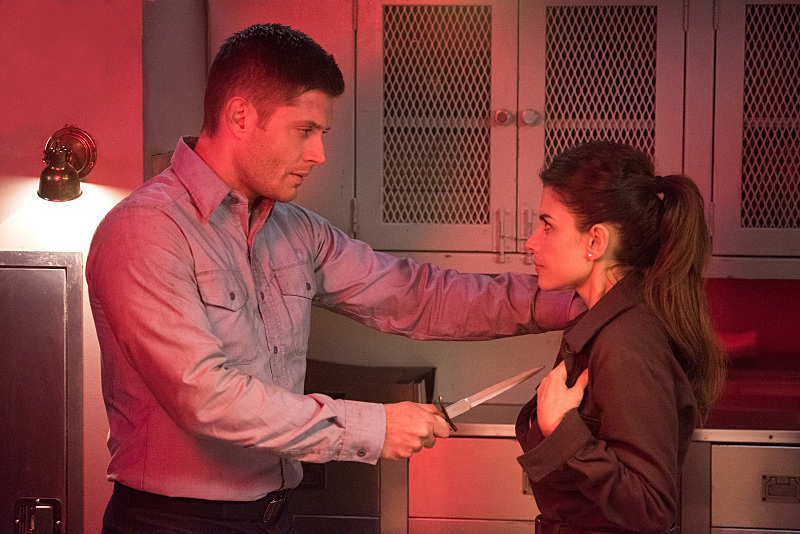 But unlike past time travel episodes, it was very much an introspection rather than interactive on Dean’s part. As he mentions, he is merely a witness to the bravery of those around him. Delphine is a true Woman of Letters, sacrificing herself for the good of the all. And the sailors are right there with her, protecting both her and their ship against all dangers. I’m not sure why it hit Dean so hard, considering he’s been in the same position many times, but perhaps it will change his focus on what’s to come. The case itself was not as intriguing as I would have expected. Sure, the Hand of God would have been a fantastic benefit for the fight against Amara, but that kind of weapon would have changed history and I somewhat expected that it wouldn’t work out the way they planned. 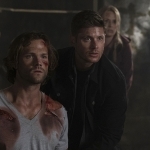 It did concern me that Dean was willing to lay hands upon it, just like he was willing to take on the Mark of Cain, but thankfully this time didn’t work out the same way. And now that it’s depleted, they’ll have to find other means of winning the war. With the new information on who exactly they’re up against, the new enemies joining the fight, it’s going to be a rough journey. For me this episode, the winner was Sam. I was much more engaged in his interactions with Lucifer!Cas, watching how he was so trusting of Cas and not aware of the danger that was lurking around the corner. To see his emotions play out across his face once Lucifer!Cas revealed himself was sad. His greatest enemy in the form of someone he called friend. And while Dean’s not accepting of the truth, Sam knows that Cas chose this and he won’t be so quick to give it up if it means they have a chance of defeating Amara. 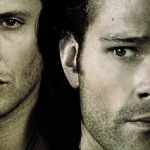 It might come down to Sam having to kill not only Amara, but Cas as well, in order to keep the world safe. What that must do to his head. Poor Sammy. As always, I’m a much bigger fan of Cas when he’s not himself. Lucifer!Cas is so over the top dramatic and I love it. He has no time or patience for Hell’s minions or Sam’s delicate mental health. And keeping Crowley as a pet was so funny. It does make me wonder, when Crowley does escape and can get back in his own clothes, whether he will strike out on his own or once again ally with the Winchesters. It’s a constant circle of use and lose with those three. Or maybe Crowley will be at risk of death as well. This is Supernatural; no one is safe around here. 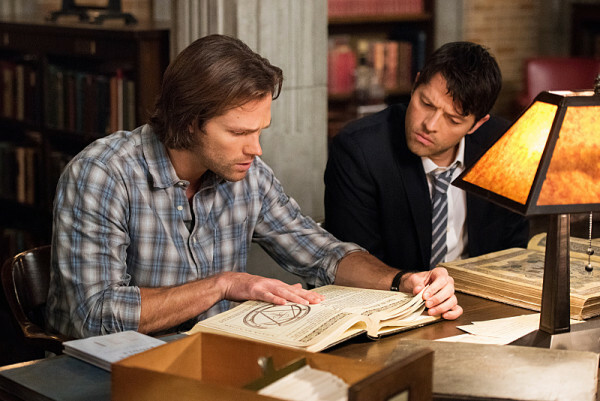 We’re left to ponder what will become of Cas, of Amara, and of the Winchesters when the fight goes down. I still, in the back of my mind, fear that death will come calling for the brothers and that they might not make it back as easily as before. And while I don’t think Cas will die for eternity, his choice has fractured his friendship with the boys at the present time. Yes, he thinks what he’s doing is the only way, good intentions and all, but we’ve seen that play out time and time before. Wrong choices does not lead to good outcomes.